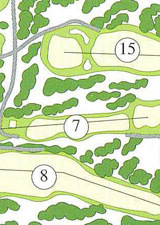 The principal consideration of the architect is to design his course in such a way as to hold the interest of the player from the first tee to the last green and to present the problem of the various holes in such a way that they register in the player’s mind as he stands on the tee or on the fairway from for the shot to the green. 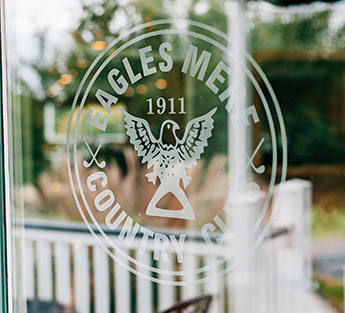 Eagles Mere Golf Club was established on September 19, 1911. The clubs grounds and farmhouse were purchased from the Avery family which is still our existing clubhouse today. In 1913 the club finished the first six holes of the golf course and opened them for play. These six holes are now holes 1-5 and 18. Then in 1915 a young Merion Golf Club superintendent, William Flynn, was hired to expand the golf course. By 1923 a full 18 hole golf course was complete and open for play which later would be considered the glory years for Eagles Mere Golf Club. William Flynn is now considered a legendary golf course architect. In 1956 the club members reorganized and created a non-profit corporation and would now be known as Eagles Mere Country Club. The club is a special place with a rich tradition of over 100 years of history. It sits on one of the most beautiful mountain settings in Pennsylvania and has a true William Flynn designed golf course. The clubhouse is a beautiful compliment to a club with so much tradition. Members and guests come from all over the country to enjoy all Eagles Mere has to offer. Eagles Mere Country Club is a private club. We have a challenging 18 hole golf course in the picturesque Endless Mountains of Pennsylvania. Our clubhouse offers gourmet dining with panoramic views. Enjoy cocktails and camaraderie at our beautiful walnut bar or a game of tennis on our court.